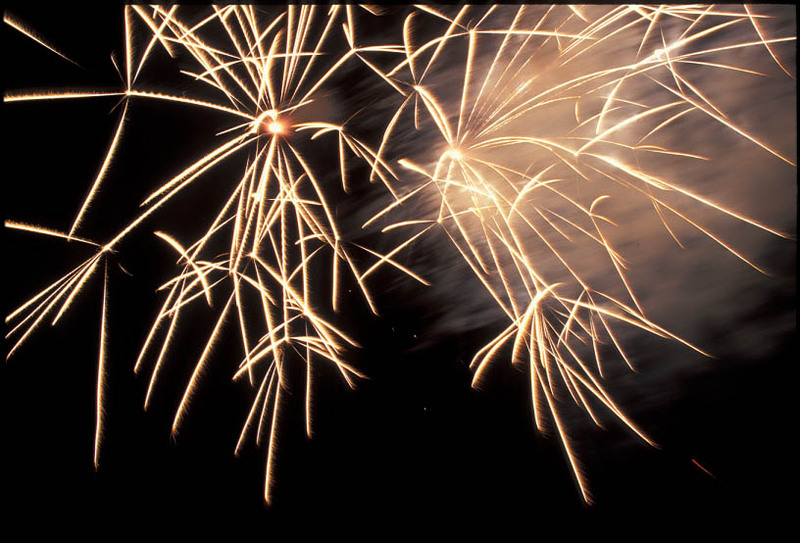 I’ve always loved fireworks and come naturally by that I guess. Dad always had ordnance around in abundance. He went fishing once with dynamite up in Canada. I love the memory of him relishing the retelling. It was Bikini Atol revisited with boats rolling gunwale to gunwale; all soaked to the bone; and non-swimmers trembling uncontrollably. But no fish. First, well first “Let there be light”. The Big Bang from whence arose all beautiful metaphysical wondering. 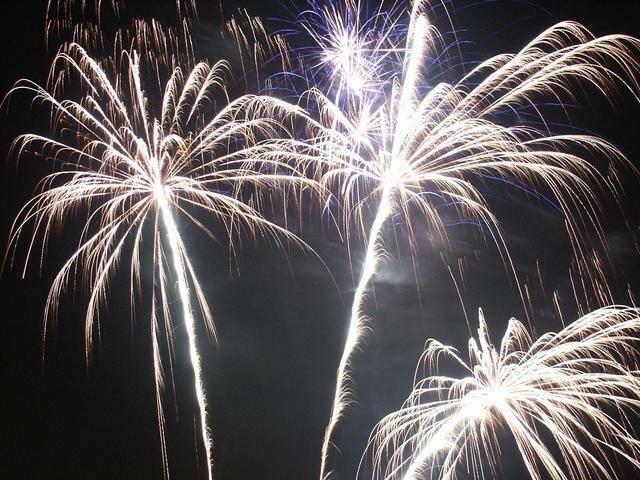 Whether or not you believe these fireworks were orchestrated by a dude in robe and slippers you’ll have to admit its unfolding to date is amazing to behold. All followed by first the light and then the resound of the mighty salutes? 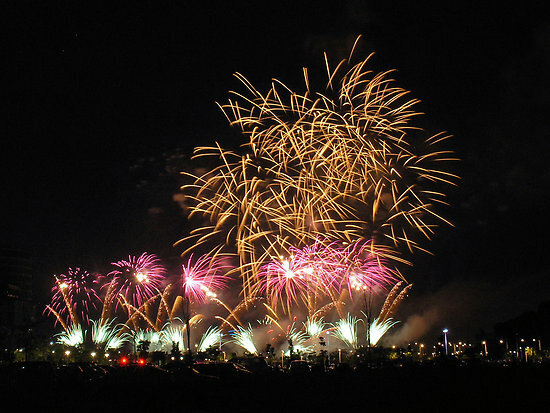 Fireworks were invented in China some 2000 years ago. The story goes that a Chinese cook accidentally mixed the key ingredients too close to a fire and thus soon saw a flash. Duly impressed with himself, he made more, packed it in a bamboo tube, and then, well, however you say ‘voila’ in Chinese. Marco Polo took the stuff back to Florence where color was added and pyrotechnics joined the other arts of the Renaissance with which you might be more familiar. 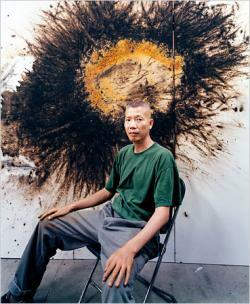 More recently, Chinese artist Cai Guo Qiang (b 1957 in Quanzhou) has built a career with gunpowder as the original component of his medium. He’s big stuff. 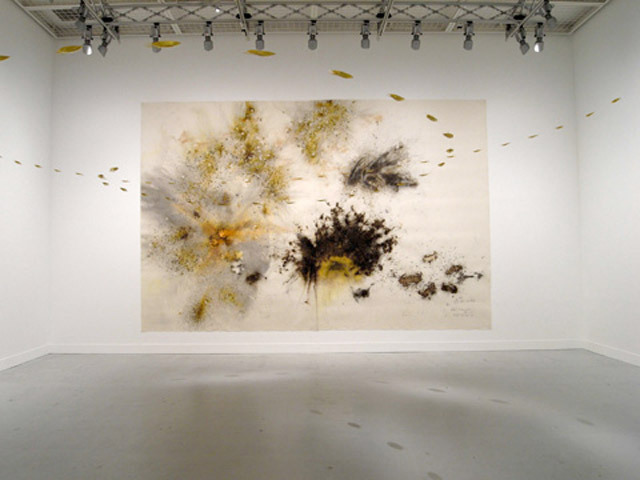 He first employed it in the creation of (believe it or not) works on paper – ‘gunpowder drawings’- embodying spontaneity and confronting authority. They’ve been the subjects of exhibitions in prominent museums around the world including one at the Hirschorn in 2004 over which wife, daughter #1 and I marveled. 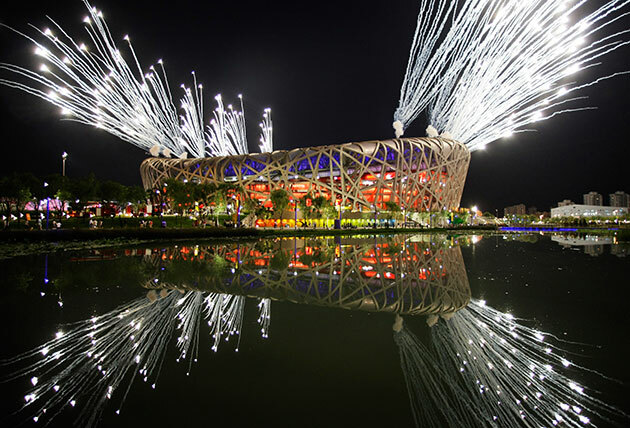 From there he’s gone on to create magnificently choreographed “explosive events” including one watched by billions – the opening of the Beijing Olympics in 2008. His work is not just of chemistry. It incorporates motifs, metaphors, and representations of shanshui paintings, Mao*, fengshui, and much more. 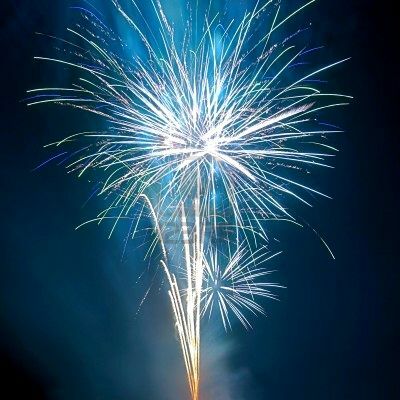 After all of this one should not be surprised to learn that a certain pair became engaged on one July 4, watched the show from a mountain top, and had Handel’s Fireworks play at the ceremony some weeks later. It’s been a blast! This entry was posted on July 2, 2011 at 5:42 pm and is filed under Art, Family. You can follow any responses to this entry through the RSS 2.0 feed. You can leave a response, or trackback from your own site.